Tom came along to one of Pete’s carving courses at the Mushroom Works in Newcastle last year. He’d recently finished a year’s foundation in Art at Newcastle College and having done a lot of 3-d work in ceramics was interested in spending some time exploring stone as a medium and developing his carving skills. 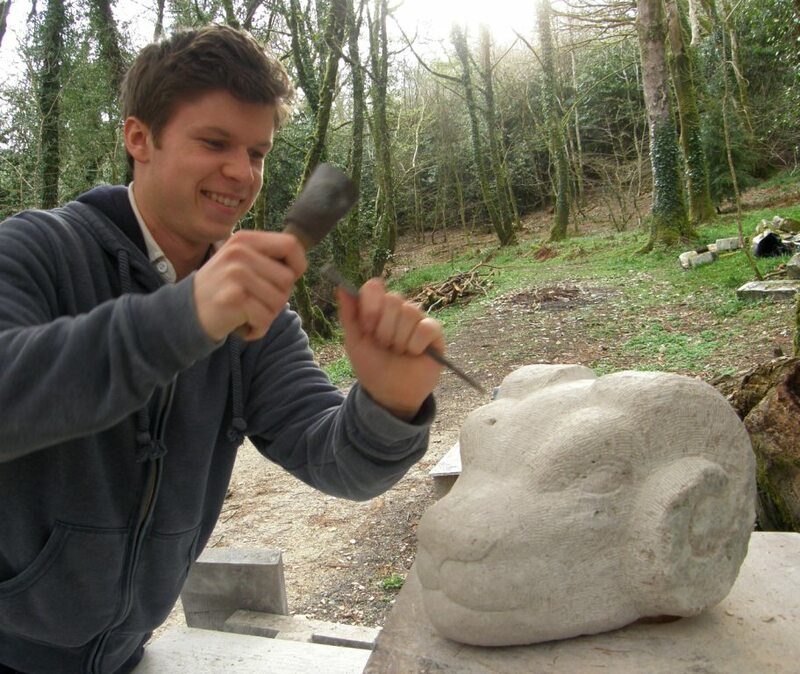 He came and stayed with us in Cornwall for a week and combined his carving with a bit of practical help around the place to make the holiday more affordable for him. We rely on wood for our heating and like everyone else, we’ve used up a lot of fuel this winter and have our work cut out to replenish the stores so the extra help was very welcome! Tom made a very successful 3-d ram’s head, which he managed to get on the train back to Berwick, and will continue working on the detail when he gets home. It was a great pleasure to meet a young person with a broad interest in art and one who moreover was an excellent house guest and got along famously with our two cats!